Welcome to Smile 32 Dentistry! Our Houston dentist, Dr. Vakil and his team are dedicated to providing exceptional dental services to revive our patients’ smiles. Focused on your unique needs, we utilize advanced and innovative technology that is sure to enhance your smile. Our contemporary facility is designed with your comfort in mind, so you can receive treatments in a relaxing dental office. Developing the best treatment plan for each patient is one of our core priorities. During initial consultations, Dr. Vakil sits with each patient to understand their particular dental goals, and recommends procedures that yield the best results. As you are being treated, you can sit back and listen to music or watch your favorite show or movie while Dr. Vakil addresses your dental concerns. Smile 32 Dentistry is equipped with the latest in dental technology to provide patients with effective dental treatments and excellent results. With our on-site CT machine, we take 3-D images of your dentition. Dr. Vakil and our Houston dental team can use this diagnostic information to better perform conservative procedures that are tailored to your needs and enhance your oral health. Our staff at Smile 32 Dentistry is passionate about helping each patient achieve their dental goals. Dr. Vakil and our staff proudly serve the greater Houston area. Our state-of-the-art facility is conveniently located across from Stratford High School, 10 minutes from Houston’s City Centre Plaza! Schedule a consultation with our Houston dentist today and let us help you achieve your best smile yet! 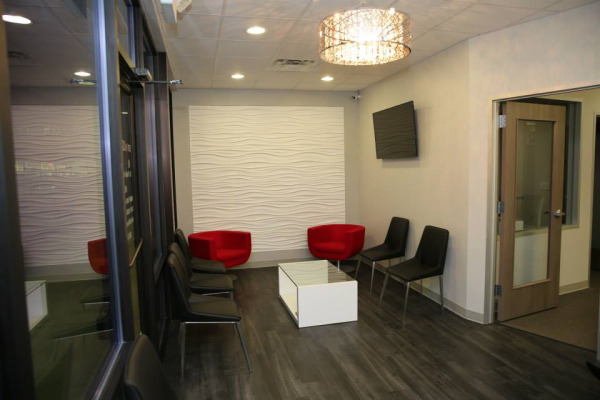 Memorial Houston, TX Dentist, Dr. Pratik Vakil of Smile 32 Dentistry is a multispecialty office dedicated to dental implants, laser whitening, and cosmetic dentistry.